An authoritative guide to Hillerman's art and the world it portrays. It features a comprehensive concordance to Hillerman's novels, with a detailed synopsis of each and an analysis of its place in the development of his career. In addition, The Tony Hillerman Companion offers a concise sketch of every character mentioned in the novels. The Companion also provides unprecedented insights into Tony Hillerman himself, and on how his life and writing have influenced each other. Unique to his volume are an extensive interview with him, a timeline of the most important events in his life, and a gallery of photographs from his family's own collection. 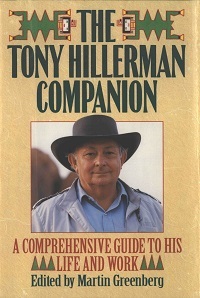 The guide also contains a selection of Tony Hillerman's fiction and nonfiction work.